Brewer Classic Lincoln is the national rebuilder of these switches which are critical to the function of the 1964- 1967 top system. We maintain a significant stock of Upper Back Panel Limit Switches for both Lincolns and Thunderbirds, and can rebuild a switch for you and get it shipped within days. We have also reproduced the necessary replacement parts, which include the contact springs, contacts, center spindle (in stainless steel), both end caps (in aircraft aluminum) and center spindle spring. 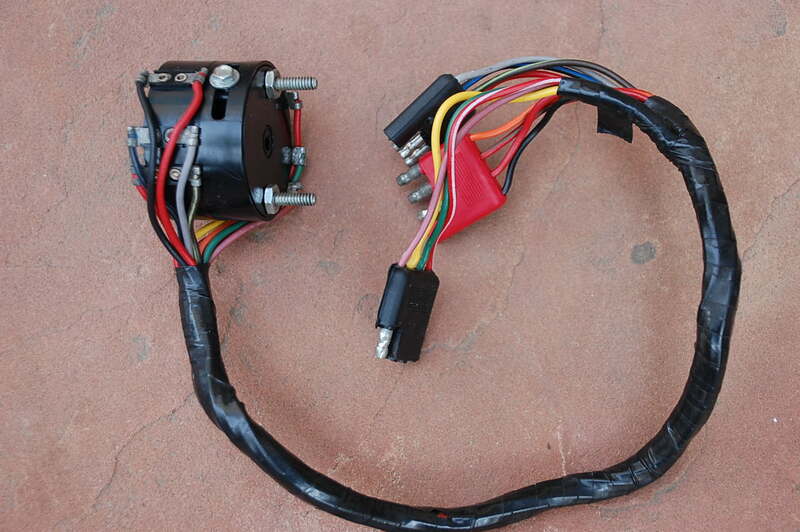 We can also provide replacements for complete wire harness/body assemblies out of our extensive inventory. Thunderbird upper back panel limit switches can be provided using Lincoln switch cores, modified using the factory specified instructions. For show originality, original Thunderbird upper back panel limit switches (with the three black plugs and shorter wire harness) are available upon request. 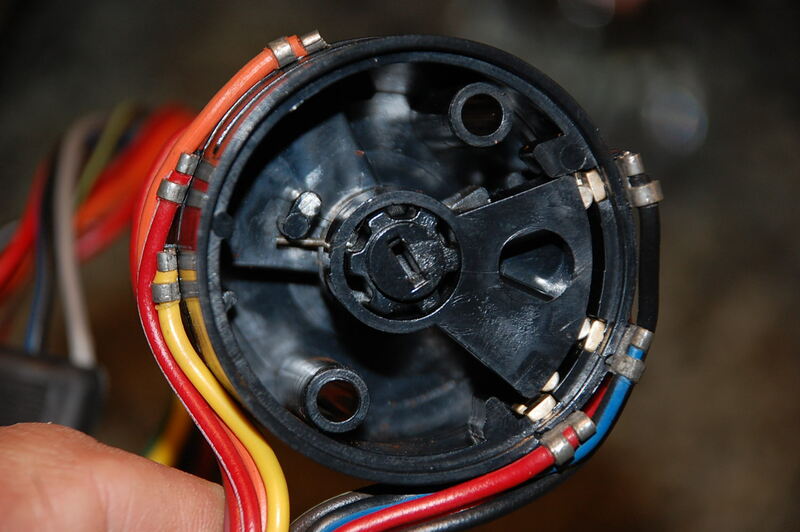 Normal rebuild service includes complete cleaning and renovation of ALL contact surfaces, cleaning of switch housings and wire harnesses, replacement of harness electrical tape as necessary, replacement of internal parts as necessary (additional charges will apply), reassembly and testing. Normal turnaround is two days. We provide bulk rebuild services to several of the primary Lincoln and Thunderbird parts vendors and top specialists. If you need multiple switches rebuilt, please contact us regarding your needs and vendor pricing. If you decide to attempt rebuild of your switch, please be aware that the internal switch components will fly apart once you unscrew the nuts from the switch body. Make sure to place the switch in a plastic bag before taking off the nuts. This will at least keep you from losing these tiny and difficult to replace components. After having opened the switch, if you decide to have us rebuild it, there is no additional charge for rebuilding disassembled switches unless parts have gone missing. 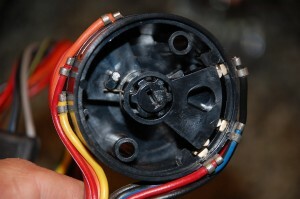 Most switches are fully re-buildable, requiring minimal or no part replacement. Basic switch rebuild price is $195. Proper function of the upper back panel limit switch is predicated upon proper condition and adjustment of the Upper Back Panel Gear Drive assembly. Problems center around the following, so please read this list, and check to see if your gear drive appears to be in good condition. GEAR PLAY – using your hands, raise and lower the upper back panel to see how much play there is. Measure play at the end of the arm attached to the gear drive. If play exceeds 2.5 inches, your assembly probably does not work, or will stop working in the near future. Play of .5″ to 1.5″ is normal. Adjustments can be made to take some or all of this play out. Contact us if you need advice. REAMED OUT DRIVE ARM SHAFT – If your flap can be made to go up and down by hand; if it often slips back down after going up, the arm drive shaft may be reamed out. Contact us to purchase a new arm with brand new custom milled shaft priced at $195. CRACKED GEAR DRIVE BODY – Carefully inspect the gear drive housing for cracks. Once cracked, you will need a new gear drive housing. A new cover will be about $175. Give us a call..
DAMAGED WORM AND FLAT GEARS – The worm gears and flat gears inside the gear drive housing can wear out or break, causing non-function of the gear drive. New set of flat and worm gear is $165. Always feel free to call us for advice on dealing with these issues.